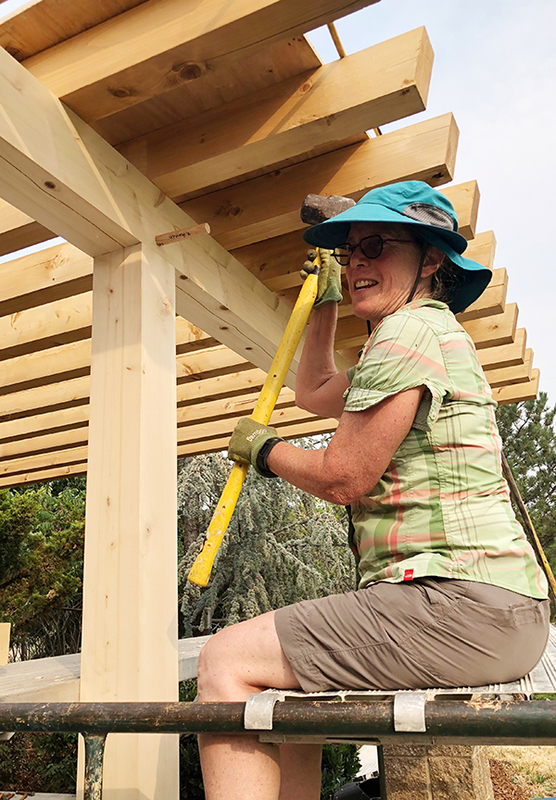 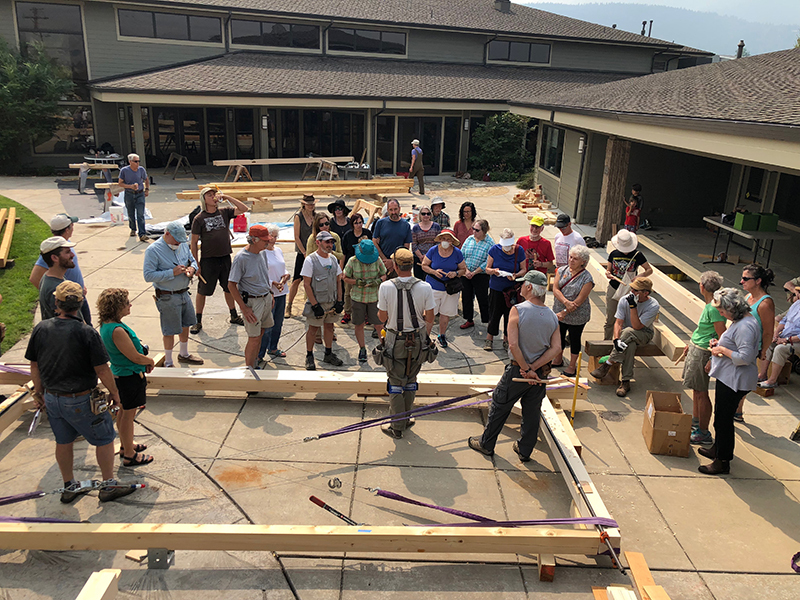 Our fall timber frame workshop this year involved building a timber frame sukkah with the members of Temple Emek Shalom in Ashland, Oregon. 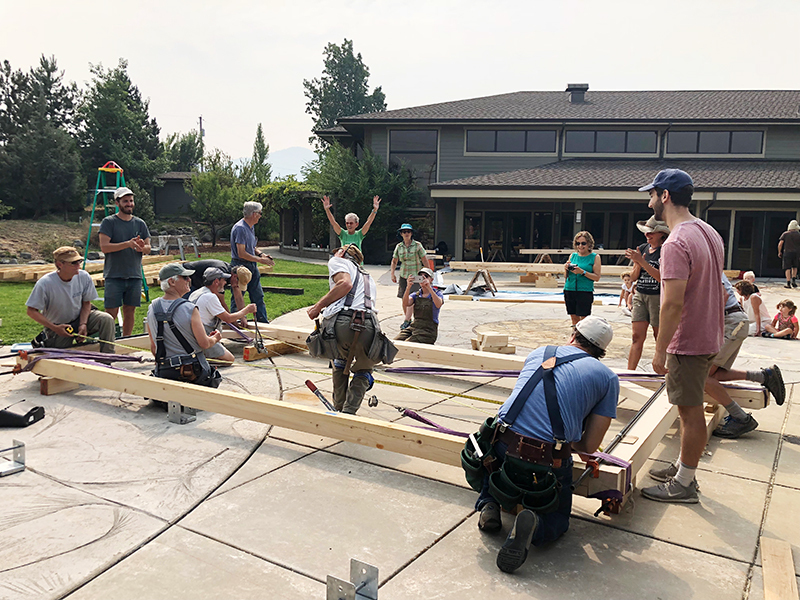 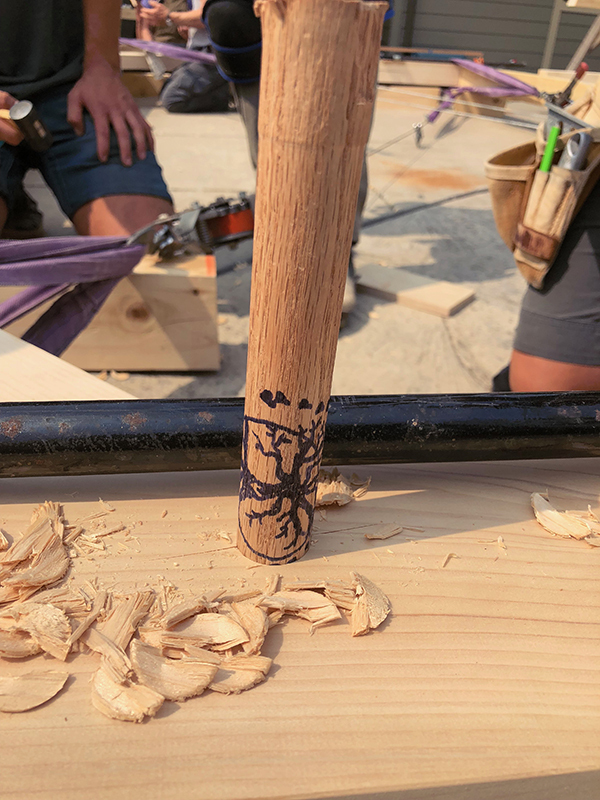 For a week, our boot camp students joined the timber frame students who were Temple members and crafted the timbers that would become the new sukkah - just in time for the festival of Sukkot. 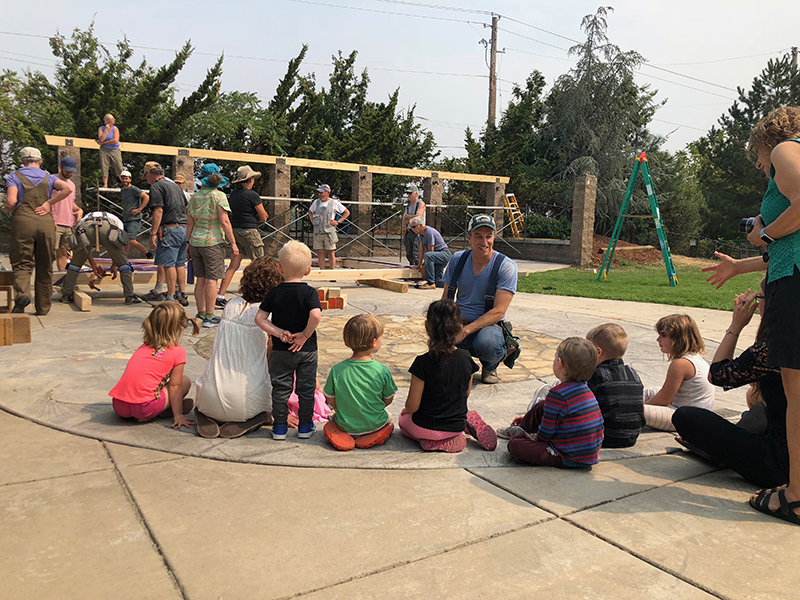 Rabbi Joshua Boettiger explains the project to the tiniest timber frame enthusiasts. 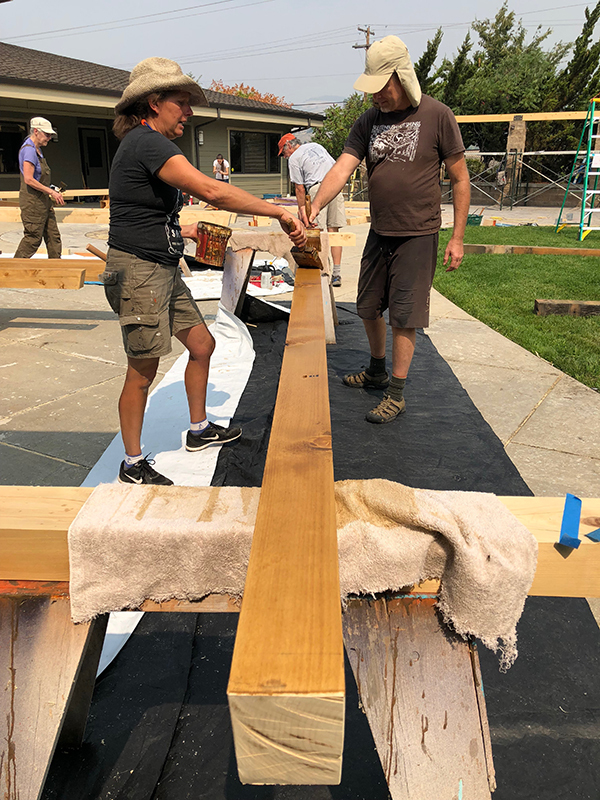 A traditional timber frame structure utilizes mortise and tenon joinery to connect the heavy timbers rather than relying on nails and screws. 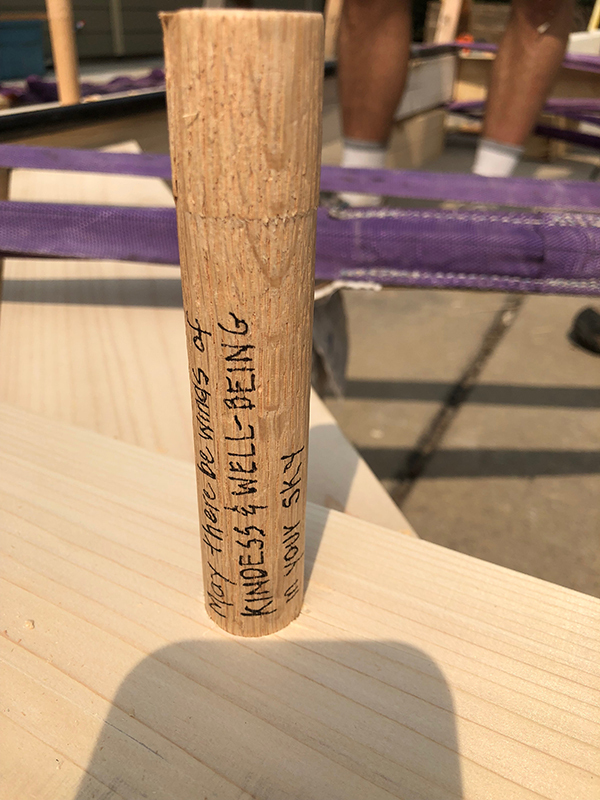 Each peg that went into the sukkah had a prayer written on it by a temple member. 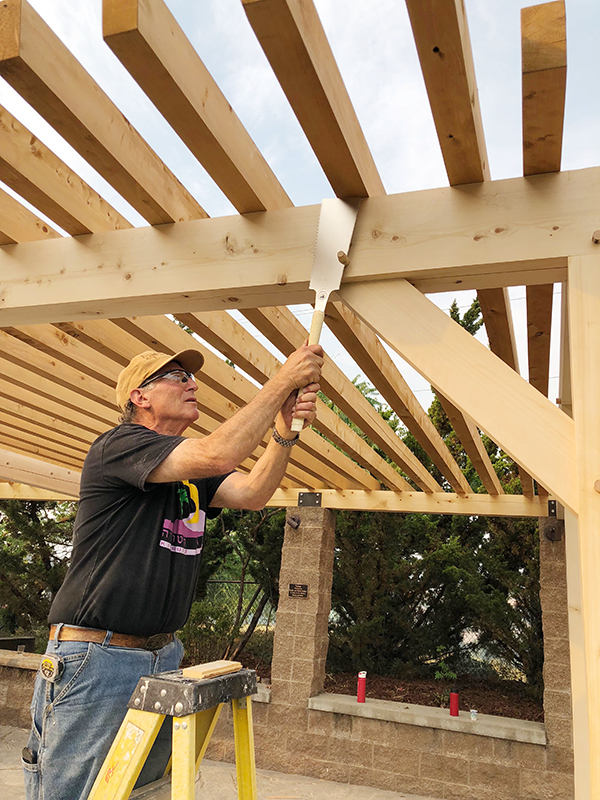 Read more about this project in the Daily Tidings.